Where the heck did all these kids come from? 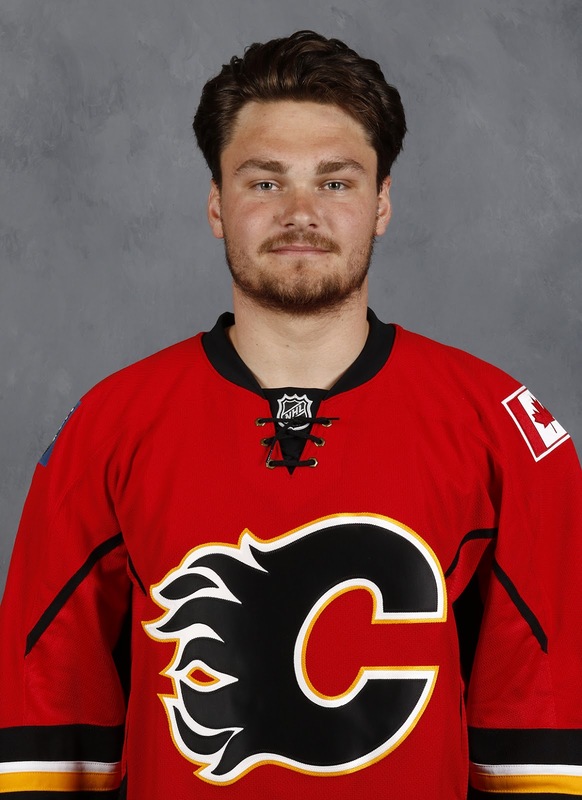 At risk of sounding like a grouchy old man at a resort overrun by young people, quantity was the predominant theme when compiling my latest ranking of the Flames Top 20 Prospects. Sweden, Finland, Czech Republic, Russia, United States, Canada... there are kids everywhere. Having just made nine picks at the draft, add in a couple free agent signings from Europe and suddenly Calgary has a larger than usual pool of prospects, or so it seems. It made the process of compiling a top 20 just a little more difficult this time around. By my calculations, 38 players in the Flames organization meet my criteria for being a prospect. In fact, technically the number is 40. However, 2012 seventh rounder Matt DeBlouw and 2013 seventh rounder John Gilmour -- both having just completed their fourth year of college -- are not going to be signed and will become free agents on August 15. It's because of the sheer numbers that I couldn't find a spot for diminutive 2016 sixth rounder Matthew Phillips, or 2014 second rounder Brett Pollock, acquired in the Kris Russell trade (one wonders how much quality the Stars would give up for a Russell rental). Goaltender Nick Schneider is another guy that didn't even crack the list of honourable mentions. Second-year pros Austin Carroll and Hunter Smith are also conspicuously absent. This the third edition of the bi-annual rankings, which is a laborious exercise but also one that is a ton of fun. Over time, these snapshots in time of the state of the organization's prospect cupboard will provide a nice way of tracking players as they rise and fall on the depth chart. Since the last edition came out, much has happened. There have been trades -- players moving out, prospects and/or draft picks moving in. The second half of the season as well as the playoffs took place. Earlier in July we got a chance to see most of the prospects including eight of the new newest draft picks hit the ice at development camp. For my rankings (and I explain this in greater detail in my Monday Top 20 Prospects sneak preview on Sportsnet960 ), note that this is not the order I expect players to ascend to the NHL. In other words, this is not a chronological list. In fact, the estimated time of arrival (ETA) is a non-factor. The two things I take into consideration are: 1. Likeliness to make the NHL, 2. Projected impact if they make it. With four spots opened up, and lots of other changes also, here we go. Having Tkachuk fall to No. 6 was huge for the Flames, who get the ideal fit they wanted in a smart, skilled, physical winger, who plays with an edge. Had eight points in four games at the Memorial Cup and was 20-20-40 in 18 OHL playoff games. Once he gets in the line-up, he may never come out. After a superb showing in Penticton, Gillies got off to a terrific start with two shutouts in his first three games with Stockton. However, still bothered by an injury originally suffered two years earlier, he underwent season-ending hip surgery in November. Fully recovered now, he's raring to go. Andersson followed up a strong Flames camp with another stellar year leading all OHL d-men in scoring in the regular season and playoffs. Ready to turn pro, Andersson's sub-par conditioning got him called out by the GM at development camp, but that's fixable though. He remains a major talent. As a young man in the AHL, his defensive game grew a lot last year with his commitment to getting better the key. Spent much of the year quarterbacking Stockton's PP. His electric skating that enables him to jump into the rush and still be first man back is TJ Brodie-esque. He's right there with Andersson. Will the much-maligned draft pick from 2012 actually pan out? As a senior, led PC to a terrific season while enjoying his best year offensively. Then had a productive few weeks in Stockton. Big and skilled, looks better and better every time you see him. Needs time but a solid two-way centre in the making. 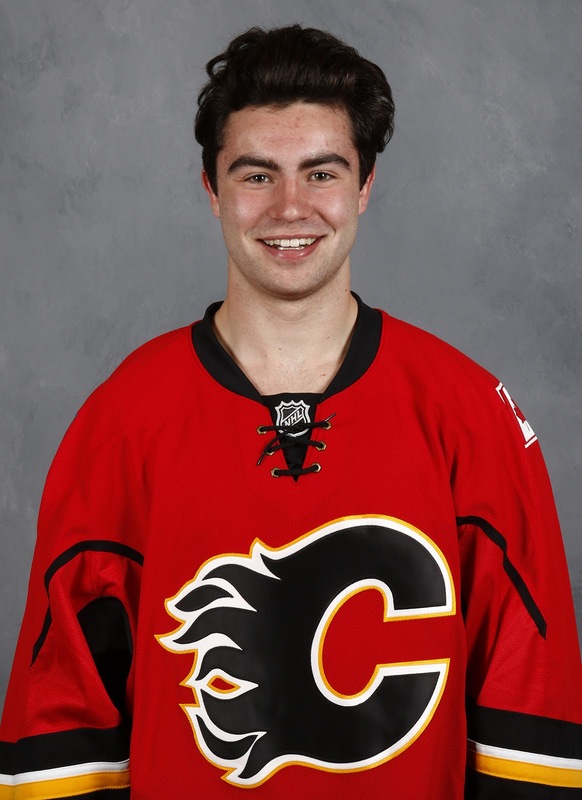 Embraced a trade to his hometown by going 6-6-12 in 17 games in Stockton, then getting promoted to Calgary where the speedy winger was 2-1-3 in 7 games. Loves to score goals and is willing to take a pounding to get to those dirty areas. Could find a home in the top-six. 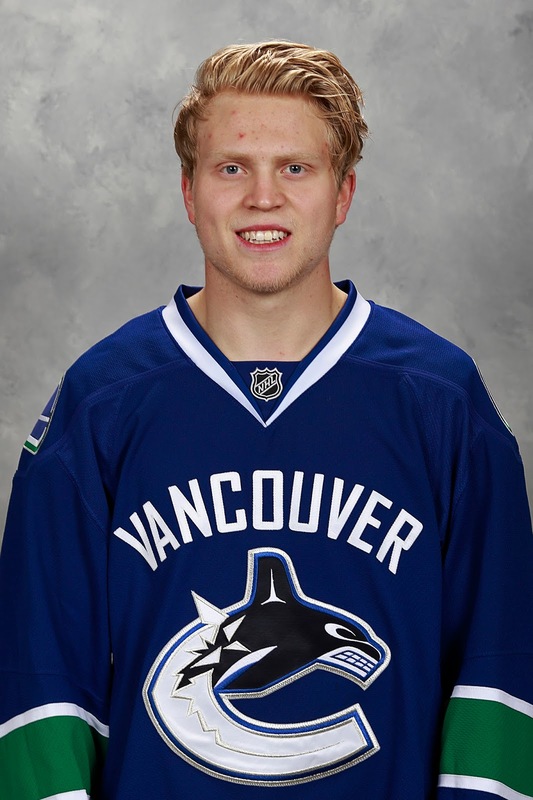 Why did Vancouver unload him? Back to college for year three, Hickey remains bunched with Andersson and Kylington as the Flames top D prospects. Last year he added the experience of playing for Canada at the World Juniors. He is a smooth skater, who does a lot of things well. We'll see if his offensive numbers bounce back this year. Late bloomer that overcame being snubbed in the OHL draft, the uber-talented winger put up big numbers once again with the kind of gaudy stats typically associated with first and second round picks. Stood out at rookie camp with his playmaking abilities. Time to see how he fares in the AHL. Lost on that powerhouse Knights team was the guy at the back, who was also great. His .921 regular season SV% was second best and his .925 in the playoffs was tops. Calgary did not plan on drafting a goalie early but they had him ranked high. When he was still there late second, they had to do it. Season got off to a bad start with a poor Penticton and that carried into main camp. In a disappointing year, Poirier never got it going. Talent is still there if he can get back to using his speed and playing a little surly but must show some urgency as patience with the once prized prospect is surely wearing thin. Isn't very big but has good speed and plays with a lot of confidence. Has a real soft set of mitts and a dangerous shot he can seemingly put wherever he wants. Having just turned 18, he's a long way away but he packs a lot of potential. 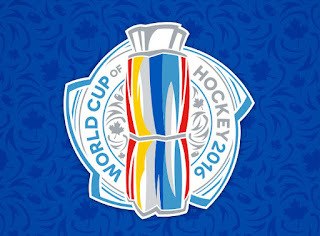 Will attend Canada's World Junior summer camp this weekend. A make it or break it year for Wotherspoon. 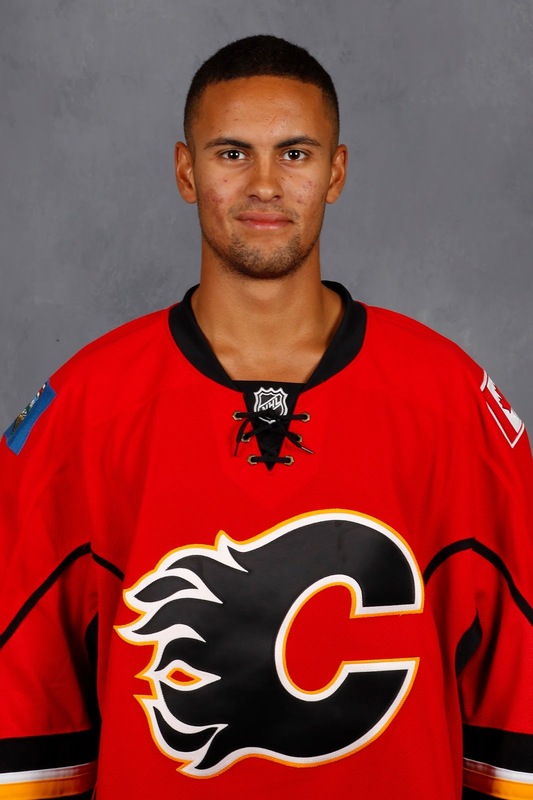 A frequent call-up his first three seasons, being waiver-eligible now means he should be in Calgary to stay. If he plays like he did late last year, he should be a key contributor. His game turned around after Ryan Huska healthy scratched him for a game in January. Brad Treliving said Pribyl reminded him in some ways of longtime NHLer Robert Lang. He is a big guy that likes to be a playmaker but isn't afraid to shoot either. 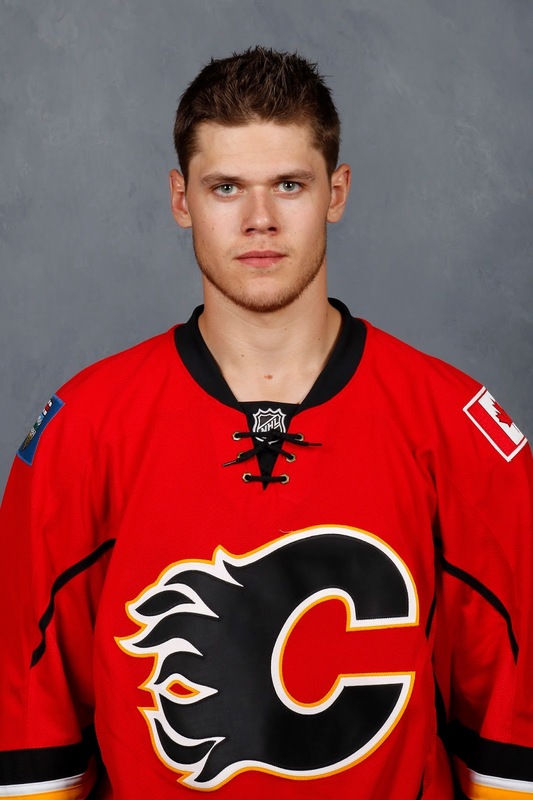 Major knee surgery may result in him starting in the AHL but second in Czech scoring last year, he could be up with Calgary before long. Klimchuk's first pro season was a struggle offensively. How bad was it? Went the final 33 games without a goal. While Huska praised his all-around game and warned that his stat line was misleading, bottom line is three goals for a goal-scorer makes for some mental baggage. Has the ability to bounce back. Flames were giddy to get this smooth-skating, puck-moving d-man where they got him in round 3. He was a stud on the blueline for the U.S. national development team. Is in the mix to be part the U.S. World Junior team. Off to Harvard in September, his alluring skill set makes him a player to watch. It was an uneven season for McDonald. While making Canada's World Junior team was a nice accomplishment, he didn't play well and as a result didn't play much. His QMJHL season was also a struggle at times before he turned it on late. Expected to turn pro this summer and is likely bound for the ECHL. Making the season-opening roster last season was a great accomplishment, considering he was in the ECHL for a long time the previous year. Has size, can skate, and can also move the puck. Is not bad defensively either. Should get in more NHL games this season and could become a regular by next year. Tuulola's size is the first thing that stands out, but watch him closely and you'll see that this self-described Milan Lucic-like power forward has an intriguing assortment of other talents too including some very soft hands. His scoring barrage in the scrimmage made him the talk of development camp. Made his NHL debut on Feb. 29 and instantly became a fan favourite with his insatiable desire to throw his weight around, be a you-know-what disturber and just get himself noticed. Hathaway even brought his energy to the No. 1 line for a few games, although a fourth role is likely where his future lies. Ollas Mattsson loves to play physical and he reminded several players of that at dev camp. With one year to go on his contract in Sweden, he could arrive in North America by next summer. Playing with men in a very good Swedish league is good for him, so was playing in last year's World Juniors. D Ryan Culkin (previously 15th, 13th) - Was rising fast when injuries struck. C/RW Linden Vey (not previously ranked) - Putting off-ice issues behind him. C Linus Lindstrom (not previously ranked) - Top scorer in Swedish junior. 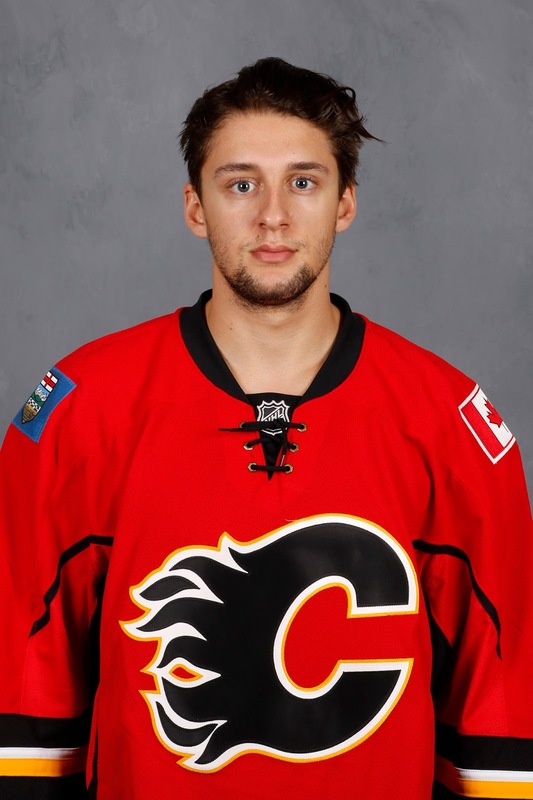 C/LW Pavel Karnaukhov (previously 14th, honourable mention) - In the KHL. 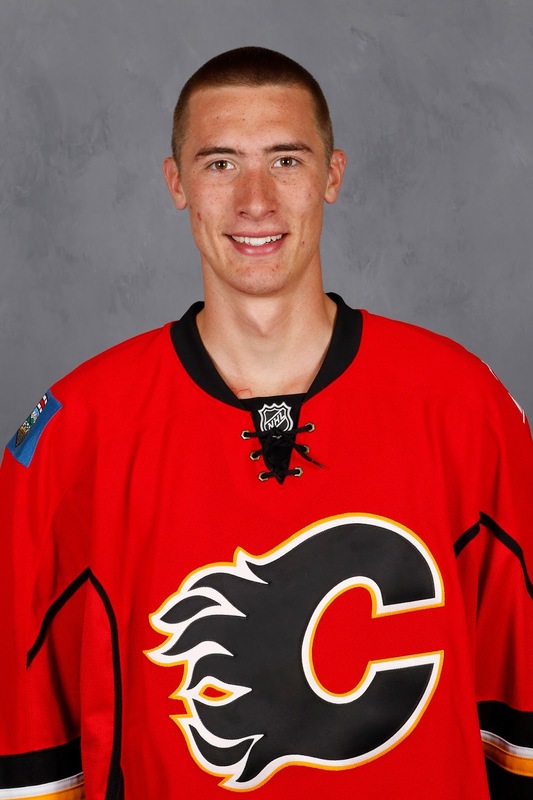 G David Rittich (not previously ranked) - Raw skills excite Flames goalie coach. 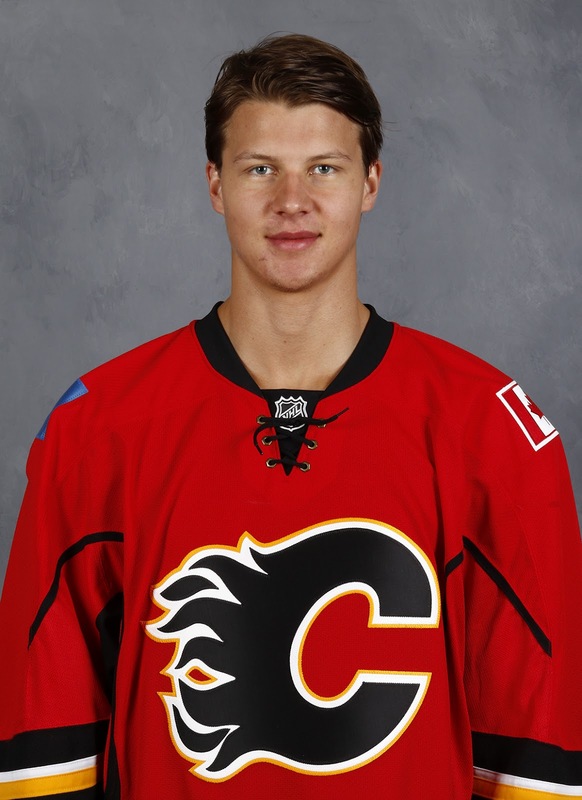 "On defence, no deck of cards is complete without a joker, introducing number three, Jyrki Jokipakka." Welcome to opening night of the 2017-18 NHL season as one-by-one, players for Las Vegas -- first expansion team since 2000 -- are introduced to a thunderous ovation from the 17,500 screaming fans at T-Mobile Arena. 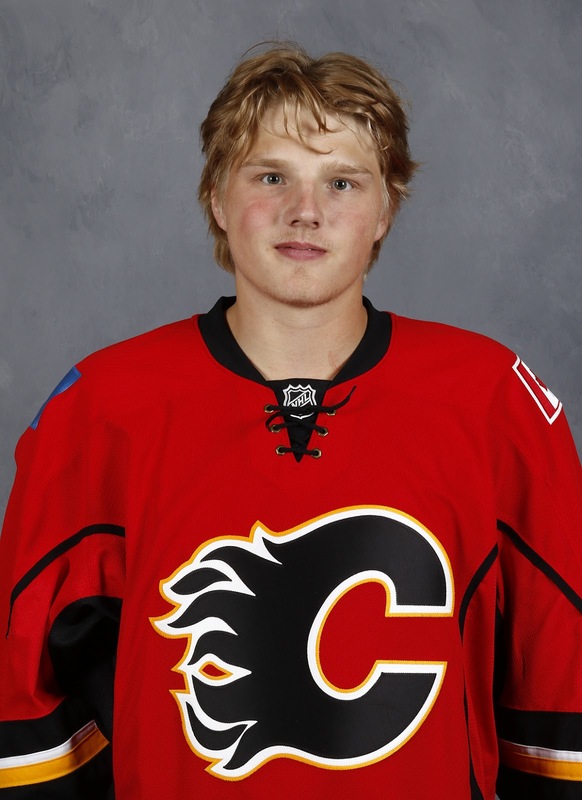 How did it come to be that Calgary lost this solid young blueliner that was named to Team Finland for the World Cup in September? It's simple. He was left unprotected. 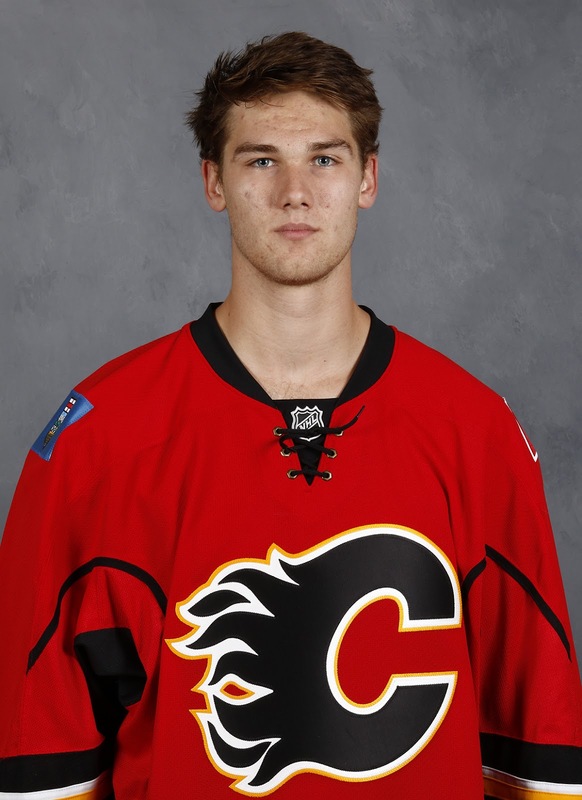 Preferring him over Micheal Ferland and the other Flames available, and given the valuable commodity that a young NHL-ready defenceman can be, I would expect Las Vegas to roll the dice on the 6-foot-3 Finn. After much speculation, the official announcement came last month that Las Vegas would, indeed, be joining the NHL as the 31st team and would start play in 2017-18. Tasked with building that roster and making the team as competitive as possible and as soon as possible is longtime NHL executive George McPhee, who was recently named the inaugural general manager. First opportunity for McPhee to start acquiring players will be the expansion draft on June 17, 2017. So what are the expansion draft rules? Turns out, cracking the Da Vinci code would have been easier than getting verified information when it comes to protection rules. I've been in regular contact with the brains behind General Fanager -- a very useful resource I use daily -- and including a revelation that just came to light this morning, here's a high-level snapshot of the expansion draft rules as they've been assembled by that website in consultation with multiple sources including an NHL executive. For more detail, visit General Fanager's expansion draft rules page, which includes a thorough and just recently updated FAQ. Teams can choose to protect either 11 players (7 forwards, 3 defencemen, 1 goalie) or nine players (8 skaters, 1 goalie). Teams must expose at least one defenceman and two forwards, who are: (a) under contract for 2017-18 and (b) played in 40 or more NHL games the prior season or played in 70 or more NHL games in the prior two seasons. All teams will lose one player. Based on these rules, I looked ahead to next June when the expansion draft will be held and took a stab at who Flames GM Brad Treliving might choose to protect when that time comes. Breaking down the good, the exempt and the ugly when it comes to Calgary's roster and the expansion draft. With six players at forward I'm sure the Flames are eager to protect, I suspect Treliving, like most GMs, would choose the option of protecting 11 players total at a breakdown of 7-3-1. Why You Would - Young stars Gaudreau, Monahan and Bennett represent the future foundation of the Flames up front. Ages 23, 22 and 21 respectively when the expansion draft will be held, these three are no-brainers. Meanwhile, Backlund plays an important two-way role as second line centre and his economical $3.575 million AAV is something to take advantage of before he is set to become a UFA at the end of 2017-18. Why You Would - Both were hotly-pursued UFA signings over the past two summers and are key members of this team's construction. 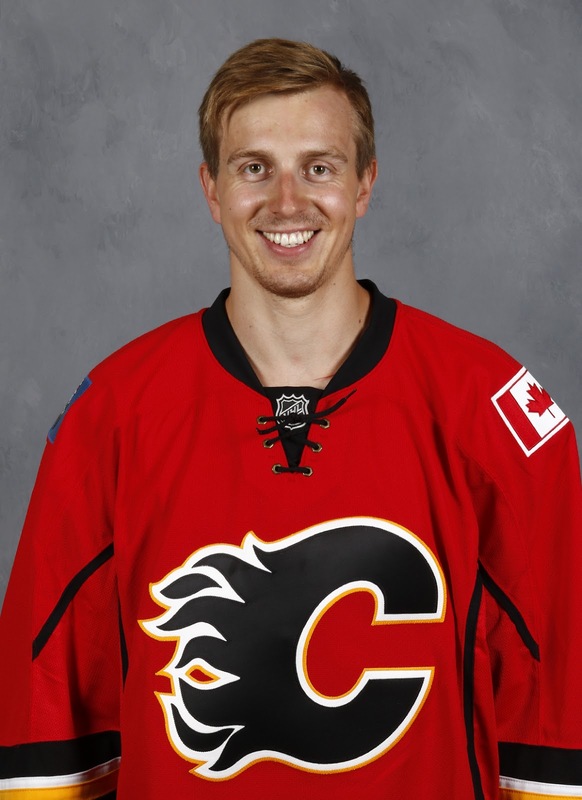 Frolik's two-way game nicely complements Backlund, making them a formidable pairing. Position versatility and ability to play the PK helps. Brouwer was a sought-after addition for his playoff experience, size, ability to snipe 20 goals, play with edge, kill penalties, be a right-shot on the power play, and be a 'motivating' voice in the dressing room. Why You Wouldn't - Regression by either one of them combined with noteworthy progression from Jokipakkaa and you might see Calgary expose one of them in hopes of diverting McPhee's gaze away from the Finnish defenceman. 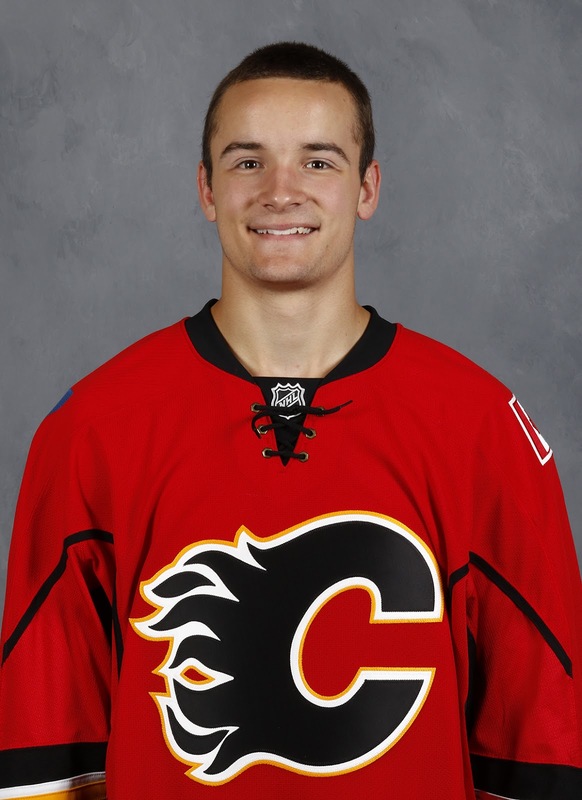 Of the two and given management's affinity for Brouwer, Frolik is probably the guy I think they would leave unprotected first and he definitely would be someone that could spark some interest from McPhee. The other and more likely alternative (of what admittedly is an unlikely alternative overall!) is the option to keep eight skaters total, regardless of position. In that case neither Brouwer or Frolik would be protected and four defencemen would be kept. 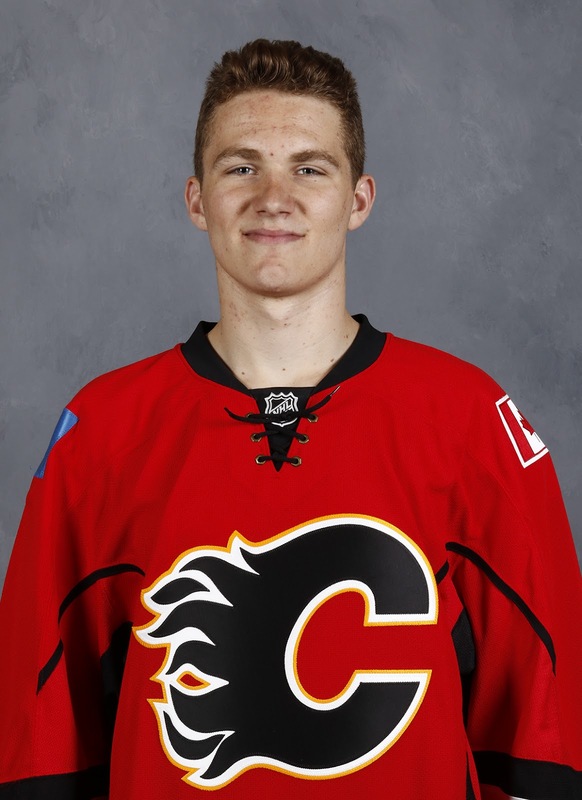 Why You Would - Calgary kid made a nice impression in his first couple months with the organization after being acquired from Vancouver for Markus Granlund. They say the hardest thing to do in the NHL is score goals and Shinkaruk has shown a propensity to do that throughout his career at all levels. He could soon secure a top-six role should he be able to sustain his scoring touch in the NHL. Why You Wouldn't - The risk is potentially losing Micheal Ferland, who has all the tools to be an impact player. Frequently praised for his hockey IQ, Ferland is very effective when he's on his game and is getting under the opposition's skin. In terms of other candidates, a bounce-back season for Emile Poirier could get the once highly-touted prospect back in the conversation. Same thing for Lance Bouma and Alex Chiasson, two guys that could muscle their way into the debate if they re-establish themselves. Why You Would - Brodie's $4.65 AAV is ridiculous value already and he has four more years to go. Hamilton's career is just getting going. These two are easy slamdunks for me. Giordano is a virtual lock also as of right now but just to generate some discussion, and on the outside chance there is some sudden and significant regression this upcoming season, I've lowered him to probable, although I'd consider him very probable. Why You Would - While he's getting older, Giordano remains the team captain and unequivocal leader and he would surely be snapped up by Las Vegas in a heartbeat should he be left unprotected. 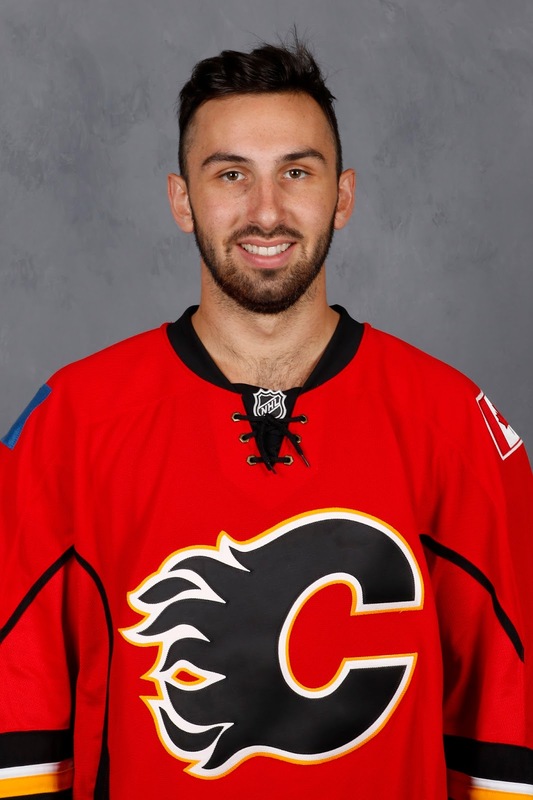 He remains the backbone of the team, the face of the organization, and having just become the first Calgary defenceman since Al MacInnis (1993-94) to score more than 20 goals in a season, there's still plenty in the tank with this guy. Why You Wouldn't - Again, highly doubtful this happens but should you see cracks in Giordano's game this season and with five more seasons to go at $6.75 million, this could be a way of getting out from under his enormous contract if you sense his level of play was on the verge of falling off drastically. Or, for the same reasons Calgary would be willing to expose him, maybe his contract wouldn't be of interest to Las Vegas anyway and in that scenario, Calgary could end up still keeping Giordano while protecting a young player on the rise like Jokipakka. Why You Would - Assuming Elliott comes in and gives the Flames solid goaltending as expected, it would not be a surprise to see him extended for 2-3 more seasons making him the goalie the team would protect. 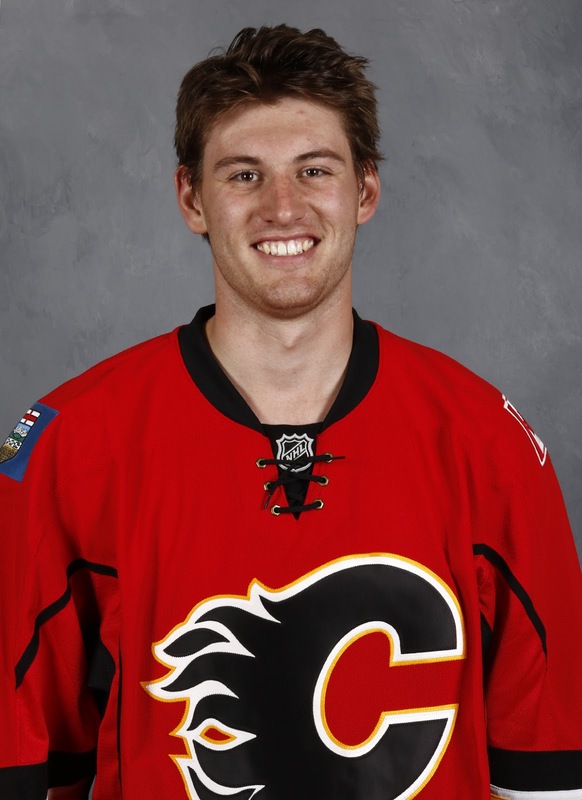 The good news is Calgary does not need to protect top prospect Jon Gillies as he is exempt. Based on the rules as we understand them, here are some of the more notable Flames players that would be exempt so would not need to be protected. I'll refer you to the General Fanager website for a complete list. Expansion rules dictate each team must expose at least two regular forwards and one defenceman signed through 2017-18. These players must end up meeting the criteria of at least 40 NHL games played in 2016-17 or 70 NHL games combined between last year and this upcoming season. In net, every NHL team must also expose a goalie, who at minimum must either be signed for 2017-18 or be a restricted free agent that first must receive a qualifying offer. Of that group, Ferland is the guy that would surely attract the most interest. Think about that memorable playoff series against the Canucks and how that style of play would be received in Las Vegas. They'd love him. Bouma is a dependable, gritty bottom-six forward that could attract interest but his $2.2 million cap hit may deter Las Vegas, unless he can stay healthy next season and put up a dozen goals. As for Stajan, he is past his prime and while he's still a useful player, he is not viewed as an integral part of this team. I don't envision any risk in losing him either as given his salary, there are more alluring options if you're McPhee. Others upfront that may end up meeting the games played requirement include Brandon Bollig, Alex Chiasson, Linden Vey and maybe Freddie Hamilton. There's an tiny chance that Chiasson or Vey could end up protected if they have a big season but one shouldn't bank on that. Young, cheap defencemen that are NHL-ready are a coveted thing for any team, never mind a team just starting out like Las Vegas. Jokipakka strikes me as the ideal target if you're McPhee, barring any surprises from the Flames in terms of who they choose to protect. That said, capable of creating some debate is Wotherspoon. Now waiver eligible so likely in the NHL to stay, is he on the cusp of a breakout season? If he could pick up where he left off last year, the future is still bright. Add in that he is two years younger than Jokipakka and that could provide McPhee with pause for thought. As it stands today, Calgary has two NHL goalies on one-year deals, who are both set to be UFAs. Neither meets the exposure guidelines.All the other goalies in the organization are exempt. Should they extend only one of Elliott or Chad Johnson, that still doesn't give them a non-exempt goalie to meet the goalie exposure requirement. But, I see no reason why Calgary could not choose to expose an exempt player to satisfy this requirement. In that instance, either Nick Schneider (already under contract) or issuing a qualifying offer to David Rittich, would make both a candidate for the Flames to meet the exposure guidelines. Considering the expansion draft is still 11 months away, the make-up of the Flames could change quite a bit between now and then so I'll need to revisit this exercise again during the season, once we have a better handle of the roster and who has maybe forced their way into the protection conversation. As things stand today, I'd say Jokipakka is the guy most likely to be picked up. 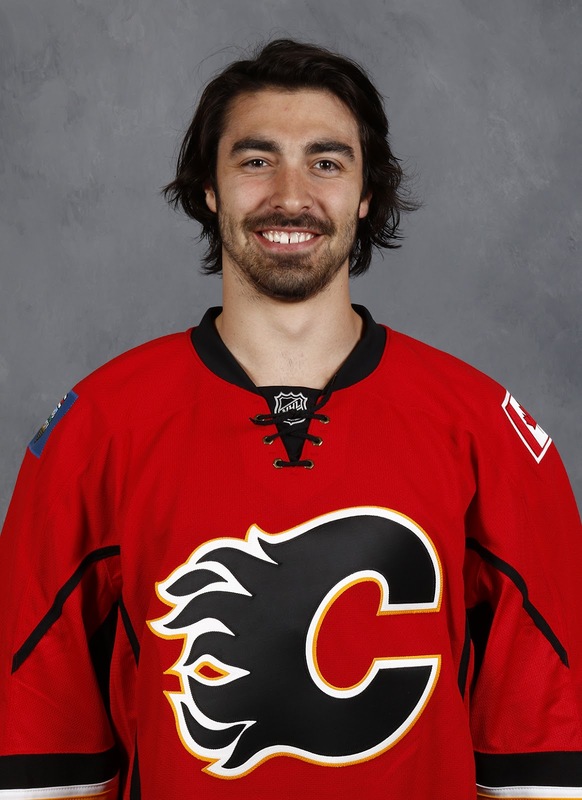 However, with a strong season, Ferland and his rousing, rough-and-tumble game could provide McPhee with some decisions. Or, Shinkaruk for that matter, if the Flames opt to protect Ferland instead. 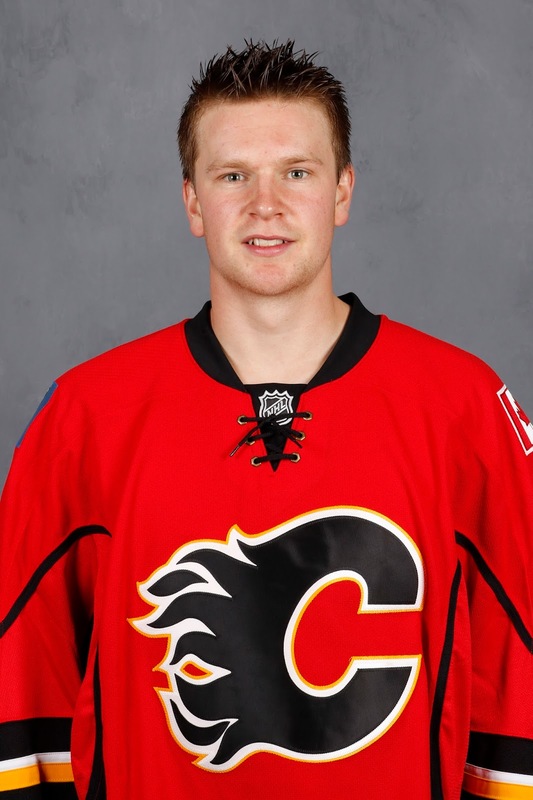 The good news for Calgary is the loss of Jokipakka still leaves guys like Wotherspoon and Brett Kulak, who are on the cusp. Plus there is more youth coming in blueliners Rasmus Andersson, Oliver Kylington and Brandon Hickey -- none of whom need to be protected. Adam Ollas Mattsson and Adam Fox are another two longer-term blueline prospects to keep an eye on. What expansion certainly does is add yet another layer of intrigue to all personnel moves starting immediately. If you're a GM, now you also need to factor in the ramifications of how bringing in a player or two via trade this season affects who you can protect in the expansion draft. This isn't the type of thing that will paralyze GMs, it will mostly be business as usual as they try to improve their team in hopes of a long playoff run next spring, yet it is another variable that you know they will now factoring in, in addition to term, salary, etc. With my impromptu podcast debut last week seemingly well received, despite the fact I didn't have anything resembling proper equipment nor did I have much of a plan or any know-how, the trial continues this week with episode two. 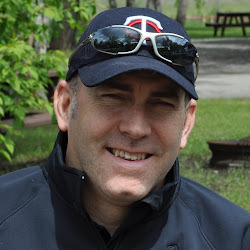 Addressing the number one piece of constructive criticism from episode one, I used much better technology this time as I got together with Sportsnet960 Radio's Rob Kerr and we used his broadcast-caliber gear. Meanwhile, I've ordered a Blue Yeti microphone that will arrive this week. I will say that having Mr. Kerr as a co-host did make for a different and better dynamic than a solo flight. How I will proceed moving forward -- same co-host, rotation of co-hosts, no co-host, some combination of those options -- is something I haven't yet decided. A few things remain a work in progress. For one, there's a couple audio things that I'm still learning and working through. One is trying to level off the volume so the music doesn't come on so loud in comparison to the dialogue. That said, consider those periodic interludes of music to be alarms to jar you back awake! After all, it is 90 minutes long. Also, there is a way to export the MP3 file so the voices are more consistent and not so left vs. right separated. But I have to figure out how to do that still. Living and learning, truly. Secondly, it seems a little long. Turns out that the two of us can really ramble as when all was said and done, nearly 90 minutes had come off the clock -- more than twice as long as I had intended. As they say, time flies when you're having fun. It seemed most of you were good with last week's episode length of 45 minutes but doubling that seems like a lot to ask. Not sure how exactly one goes about consuming a podcast of this length but I'll leave that up to you to figure out. In instalments? Bluetooth it through your car radio? Rob did show me the list of podcasts he listens to regularly and they're all in and around the same length of 90 minutes or so with some as long as two-plus hours. So maybe it's not that big of a deal. Thirdly, I've still got some work (and learning and reading...) to do in order to understand how to get this thing to the point where it can be found on iTunes and all the various podcast listening software and applications you use. But we'll get there eventually -- hang in there! On that now, enjoy our respective takes as we begin with the goaltending, examine the defence and then close with a review of the forwards in this look-ahead to what the Flames line-up could look like when Calgary opens the regular season in Edmonton on October 12. Like always, I welcome and look forward to your feedback. When will the Flames sign Johnny Gaudreau and Sean Monahan? What the heck is taking so long? It's the question I'm being peppered with multiple times every day as fans grow increasingly restless about Calgary's two young stars still being without contracts for next season. I get the angst too. No disrespect to Marcus Johansson, Tyson Barrie or Jacob Trouba but of the NHL's remaining unsigned restricted free agents, Gaudreau and Monahan rank 1-2 in terms of importance to their team. The bad news is I don't have an answer for you. Sorry. 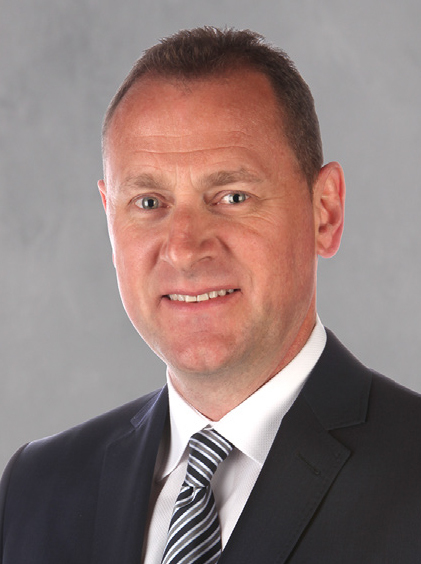 Calgary general manager Brad Treliving has been steadfastly tight-lipped about this topic since day one. If I was to pen a column based only on what the confirmed negotiation stumbling blocks have been, it would be a pretty short piece. In fact, we would already be at the end. Two years ago as a rookie, Gaudreau's home-road splits were typical of what they are for most players. He had 35 points at home and 29 on the road. But that wasn't the case last year, not even close. On home ice in 2015-16, Gaudreau ranked No. 1 in the NHL with 23-33-56 in 40 games. That was two points better than Patrick Kane, four better than Jamie Benn and five more than Sidney Crosby. But on the road, it was a completely different story. Gaudreau was just 7-15-22 in 39 games, which tied him for 106th. Lee Stempniak, Jamie McGinn and Travis Zajac are among the players that put up better numbers in enemy rinks. Further, four of his seven goals came in so-called 'garbage time', aka the final three weeks of the season after the Flames were long ago eliminated from playoff contention. While one should never put too much stock in plus-minus, it's also noteworthy that Gaudreau's minus-17 on the road ranked 891st. Only five players in the league were worse. Now maybe last year was just a blip but that type of split would suggest there's still some question about how effective Gaudreau can be when he matches up against an opponent's shut-down defence pairing and top checking line. If you're the Flames, that's naturally going to result in some apprehension because for the team to be successful, they'll need to win more often on the road and to do so, they need to get more from Gaudreau. For Monahan, there are four specific comparables that help us narrow down the range in which his annual average value should end up falling. The greatest point of differential is Monahan's 80 goals although on a goals-per-game basis, Monahan (0.34) is just a smidge ahead of Forsberg (0.33) so that provides a decent parallel. The primary difference with those two though is Monahan has the additional responsibilities of being a centre while Forsberg plays left wing. When it comes to Gaudreau, however, the comparable list is much shorter. The one name that repeatedly comes up is Vladimir Tarasenko, who signed an 8-year/$60 million deal last summer. Tarasenko's AAV is $7.5 million. However, while each has a similar impact on their team, they're such different players otherwise including how they're built. 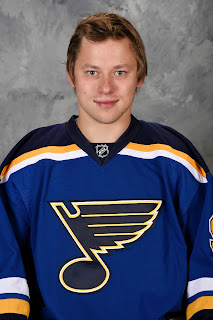 At 6-foot-0 and 220 pounds, Tarasenko is a tank. 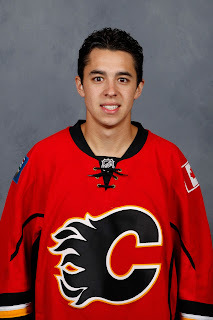 Gaudreau, who weighs about the same as Tarasenko's left thigh, is more like a jeep. 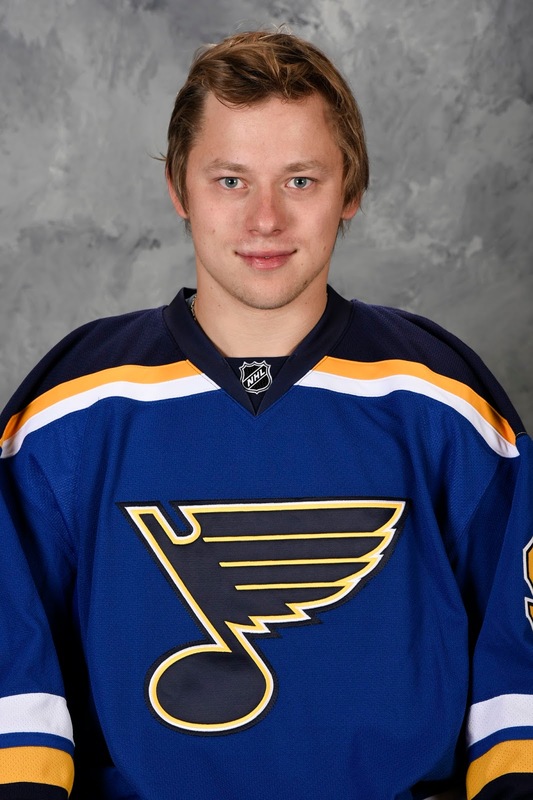 At the time he signed his contract last summer, Tarasenko was 66-69-135 in 179 games over three seasons. Gaudreau is 55-88-143 in 160 games in two seasons. Less goals for Gaudreau, but more points. On the surface, it would appear to be a push. However, a key distinction is Tarasenko has been able to score on the road. The Blues winger had similar splits the previous season with 33 points on the road, 40 at home. As for other comparables of similarly-aged players, the well runs dry quickly. Ryan O'Reilly is also at $7.5 million AAV but he's a couple years older and on his third contract. Brandon Saad ($6 million AAV) is similar in age and also a left-winger, but he isn't nearly the same calibre of playmaker. Bottom line is with Gaudreau having just two NHL seasons compared to Tarasenko's three, mix in his unusual path of being a fourth round draft pick, add in his home-road variance and you have a player in a somewhat unique situation, which I imagine can make for a complex negotiation. Yes, Monahan has had the benefit of playing beside Gaudreau the past two seasons but that doesn't change the fact that he has been a prolific goal scorer ever since he arrived in the league in 2013-14. His 80 goals over that period is 21 more than Nathan MacKinnon, the next closest guy from his 2013 draft class. In fact, it's also eight more than Alex Galchenyuk, the leading sniper from the 2012 draft. Heck, go back another year to 2011 and from that draft, only Gabriel Landeskog (100) and Brandon Saad (83) have more goals. While analytics has taken on a greater role in player evaluation, hockey is still a game in which the most goals wins and scoring goals -- and often important ones -- is all Monahan has done his first three seasons. Over the last three years, he is 21st in goals. He has more than Jeff Carter, Evgeni Malkin, Patrick Marleau, Claude Giroux and Matt Duchene. He's 21 years old. They say the hardest thing to do in the NHL is score goals and Monahan has figured it out and understandably is looking to be fairly compensated for that elite skill. When you go beyond $6 million in AAV and I expect to be the case with both contracts, it's easy for the numbers to begin to blur. At that altitude, the difference between $6.1 million and $6.5 million seems nominal. In fact, it could make a huge difference. When you turn your focus to filling out the remainder of the roster and those bottom six forwards and third pairing/depth defencemen that are so often the unsung heros in the post-season, what you can get for $1 million can vary considerably from what you can get for $600,000. That could end up being the difference between being able to sign Jakub Nakladal and not being able to afford him. So while you gotta believe the two sides are getting closer to an agreement, one can also understand Treliving's determination to not just compromise and meet in the middle but to dig in his heels and ensure the club is spending only as much as they have to. The Flames project to be up against the upper limit of the salary cap for many years to come so every dollar saved -- especially hundreds of thousands of dollars -- can have significant ramifications. Of all the contract comparables that could be used for either Gaudreau or Monahan, arguably the most useful would be each other's contract. In that regard, one wonders if each camp isn't waiting for the other deal to be signed first so they can build their case off of the other guy's term and AAV. 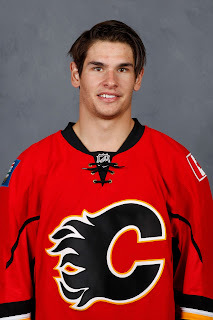 Say Monahan signs for $6.5 million. I can see Gaudreau's agent lobbying that as the guy that is the engine for the top line, he should be in line for at least $1 million more. Thus upping the salary expectations for Gaudreau to $7.5 million. Similarly, say Gaudreau signs for $7 million. Monahan's agent could respond by saying hey, my client has played one additional NHL season, he has 80 goals and Gaudreau would not be where he is today without Monahan's presence as his centre. So, why should he be paid any differently? Thus upping the salary expectations for Monahan to $7 million. Last week Gaudreau was on a Philadelphia sports radio station and while he was there to promote his upcoming golf tournament, plenty of hockey talk took place also. Among the topics was the idea of one day playing closer to home and returning to the area around around Philadelphia where he grew up. In a courtroom, the line of questioning from not-so-impartial show co-host and head Gaudreau recruiter Al Morganti would be deemed inadmissible due to him leading the witness. e.g. Wouldn't there be more prestige playing in the U.S. instead of Canada? Come on Al, settle down. That said, it's no secret that Gaudreau is tight with his family. When he returned to Boston College for that third season, a big factor he cited was a chance to play on the same team as his younger brother Matt. He spends his off-seasons back East and he clearly loves the home cooking. 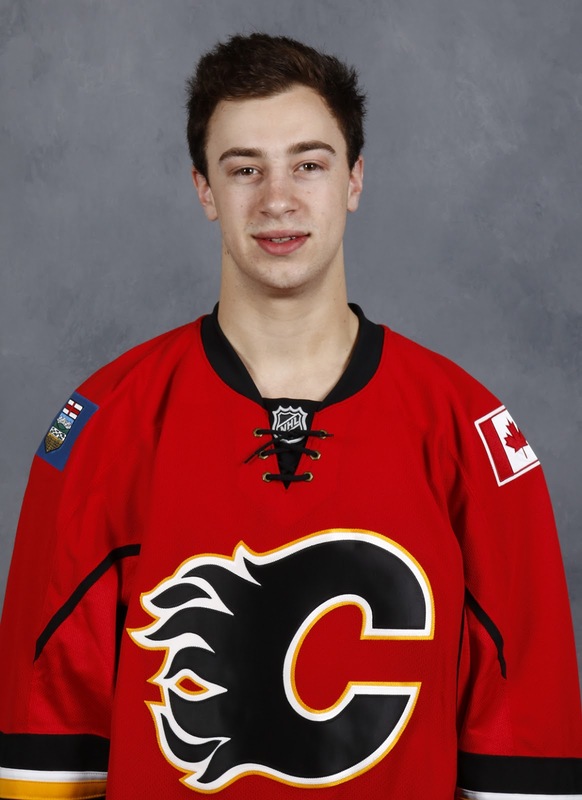 With him having such a huge following in that New Jersey, Philadelphia, Boston area, and considering two-thirds of the Flames regular season games start at 9:00 pm ET or later, you can understand the appeal to Gaudreau of someday playing in his family's time zone. In that radio he talked about how his parents have to stay up so late to watch his games. 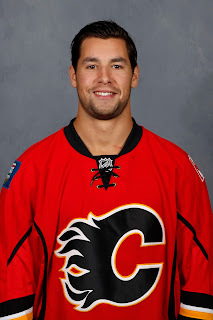 While to my knowledge Gaudreau has never admitted to such, perhaps it is an eventual Eastern re-location that is a consideration when it comes to the term of this next deal. The problem with going anything less than full term with either of these players is the fear of losing them for nothing while they're in their prime, which would be crushing for the organization. For example, Gaudreau for six years and Monahan for five, are contract lengths that would put both players on a path to hit the UFA market at age 28 and 26 respectively. Talk about scary. 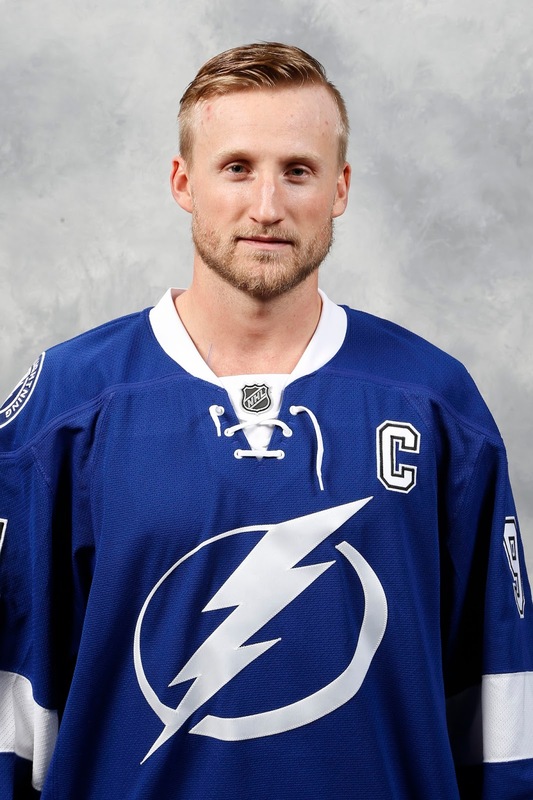 If you remember the circus swirling around Steven Stamkos in Tampa Bay last year, you can understand why this would be a complicated and contentious issue. Tampa Bay got off lucky this summer in retaining Stamkos after he became a UFA. The cushy Florida tax rate certainly didn't hurt. Safe to say this isn't how those stories typically end when a big star reaches the open market while still in his prime. The counterpoint to that is to think of the haul of assets the Flames could get in return for either player by trading them before they do become a UFA, but that's not as simple as it sounds. Trading them with at least one season remaining is the best way to maximize the return. Teams will obviously pay more for a full season of Gaudreau than six weeks of him at the trade deadline. That said, if the Flames are a legitimate Stanley Cup contender come the summer of 2021, how do you trade away your best player? A difficult enough trade to pull off in the off-season, it becomes nearly impossible to pull the trigger if Calgary has the best record in the Western Conference at the trade deadline. So if these next deals for Gaudreau and Monahan are not bridge contracts that expire before unrestricted free agency would set in -- and let's face it, bridge deals may not be extinct but they're certainly endangered -- you would want both deals to be for the maximum allowed term of eight years or darn close to that. Depending on where you think the NHL's team salary cap is going in the years to come, that could also influence the type of money and term that Gaudreau and Monahan are asking for. If you're of the mindset it's going to keep going up and up and that the $73 million upper limit for 2016-17 will be $83 million by 2020-21, that's a factor the player will want to take into consideration and either ask for an incremental increase in salary in those latter years or or to maximize their ability to make money, don't commit to too much term right now. Consider Tyler Seguin, who signed a six-year/$34.5 million extension in September 2012. It was good money at the time, but every year that passes and he still has three more seasons to go at $5.75 million, he'll become more and more underpaid, relatively speaking. On the other hand, if the team views things differently and expects the salary cap to become stagnate, they will be more cautious with the AAV and term to ensure they don't paint themselves into a 'salary cap jail' type of corner a few seasons from now. To add to the debate about where is the cap going, you can mix in uncertainty about the state of the CBA that is set to expire on Sept. 15, 2022. That's six years from now and could end up a factor in contracts with term that runs beyond that. Last month in this Dragons' Den-themed piece I wrote about Treliving, I looked at his cold, business side and suggested he gets those qualities from his Dad, who is one of Canada's wealthiest people. What we have learned about Treliving is he can be stubborn, will stick to his guns, and is very aware of the business side of hockey. Qualifying Joe Colborne likely would have resulted in an arbitration ruling of $3.5 million. Rather than saddle the team with that salary for that player, he ultimately ended up cutting him loose altogether. 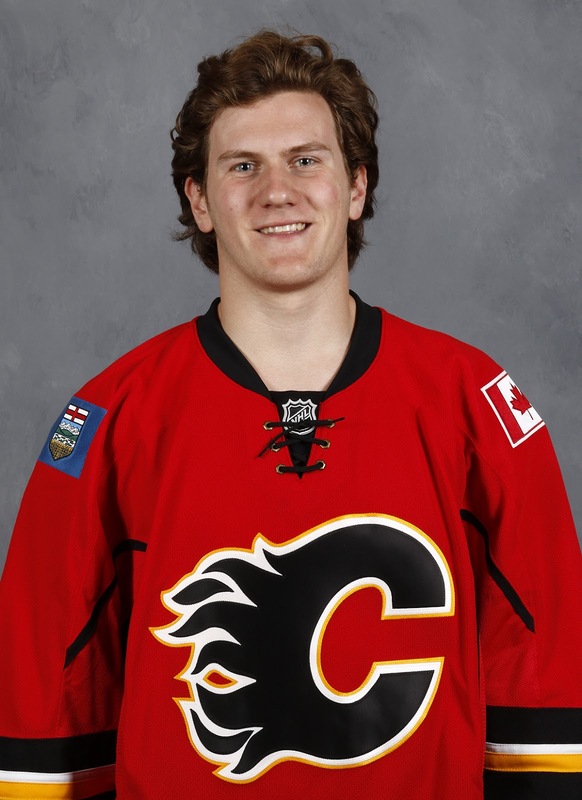 Colborne later signing in Colorado for $2.5 million suggested his read of Colborne's market value was accurate. Similar situation for Josh Jooris. The easy decision would have been simply qualifying him by offering Jooris the required one-way deal for $1 million to keep the player. I get the sense that many fans would have done exactly that. But he made the difficult choice instead and sure enough, Jooris' actual value as set by the league's other 29 GMs ended up significantly less. After being on the open market for over two weeks, Jooris settled for a one-year, two-way deal with the New York Rangers for a reported $600,000. 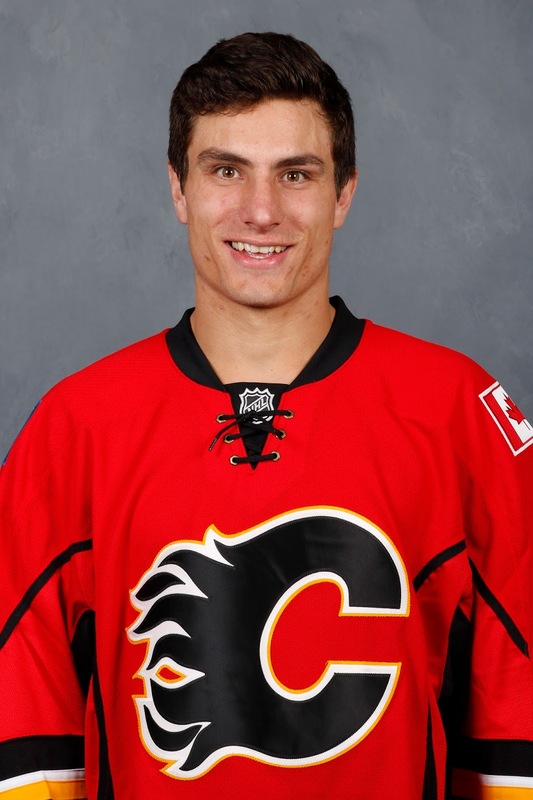 Instead of $4.5 million for Colborne and Jooris, he has Troy Brouwer instead. Opine away on whether the team is better off but the market price for the aforementioned duo ended up $3.1 million. The point is Treliving acts with conviction and doesn't seem be the kind of guy that lets his heart get in the way of his head when it comes to decisions. Now Gaudreau or Monahan aren't going anywhere, that's not my point, but there's no doubt Treliving is a tough guy to negotiate with and that could very well be a big reason why talks continue. As I see it, typically the player in these kinds of stand-offs has all the leverage. Sure, I get that the player can't go anywhere else so is stuck, but sitting out part of a season if it comes to that hurts the team more than the player. The player takes a financial hit in the short-term but it's just a drop in the bucket compared to the big pay days to come in the future. But for the team, the absence of a star player (or two) could lead to a bad start and an early hole in the standings and like we saw in Calgary last year, overcoming that to make the playoffs can be very difficult. However, I wonder if this summer isn't an exception to the norm. Could the allure of playing in the much ballyhooed World Cup in September be a milestone date that Treliving has in his back pocket. 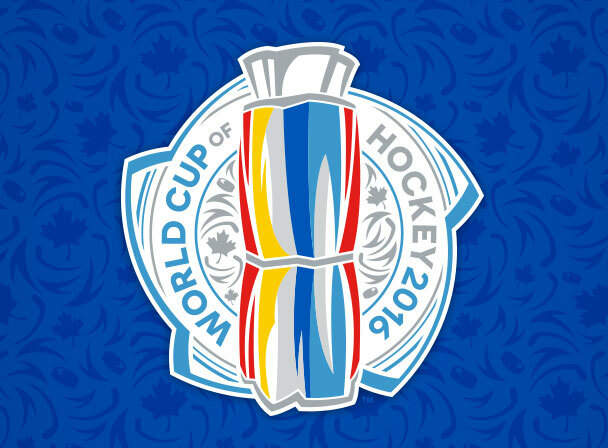 Does Calgary ultimately care if Gaudreau and Monahan play for Team North America in the World Cup? Sure it would be a great experience, but there's also the chance of getting injured. While they would never admit so publicly, the Flames are probably indifferent when it comes to their participation. 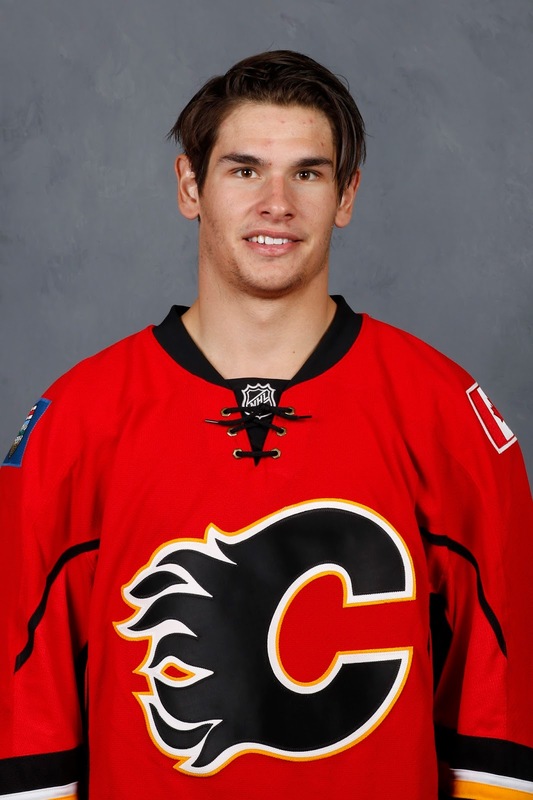 On the other hand, as gimmicky as the tournament is, you can bet Gaudreau and Monahan are both anxious to play in it. It's a tournament with the best players in the world and guys want to be part of that. However, would they play in it if we get to September and they still don't have a contract for the upcoming NHL season? Because it's a joint NHL-NHLPA event, perhaps insurance coverage could be arranged for both players but even if that is the case, there's still an element of risk in taking to the ice and engaging in an intense, physical competition when you're in the midst of negotiating what could be the most lucrative contract of your life. Seems hard to believe it would take that long and come to this, but it's food for thought. These are two of the most important contracts to be issued in Flames franchise history. Gaudreau's deal will likely be the most expensive. One can understand Treliving's determination to, regardless of how long it takes, make sure he gets them right. For better or worse, these contracts will be forever linked to him and his tenure as the GM. This topic will remain a hot topic as long as Gaudreau and Monahan aren't signed. Still two months away from the start of training camp, there is certainly no need to panic yet. There is still plenty of time to get them done and Treliving has been unrelenting in insisting that both deals will get done eventually. Hockey is a business and all this off-the-ice stuff is why players let their agents do the talking when it comes to a potentially sensitive thing like contract negotiations. I'm pretty certain we're not at the point yet where the players are starting to sour on the situation. I think everyone understands how the process works. That said, things could change quickly if both of them end up watching the World Cup from their sofa. But surely it won't come to that.